Surveys are an essential element of any real estate acquisition. Whether it is a residential transaction or a commercial transaction, the purchaser should always obtain a new survey. The only exception is with the purchase of a condominium unit. Since a condominium is a subdivision of air rights, the declaration of condominium already includes a survey of the property and of the unit, and since once constructed the unit does not change in size, a survey is generally not necessary. Review of the recorded declaration of condominium is generally sufficient. All surveys are certified to a number of parties: the owner, the title insurance company, the lender, and the attorneys involved in the transaction. The parties to whom it is certified are the parties that rely upon it. An issue that often comes up is whether the purchaser should obtain a new survey or have an existing survey re-certified to them. This is when an old survey is not updated nor is the property re-measured by the surveyor, but instead they simply change the names appearing on the certification. There is generally little cost in this as opposed to ordering a new survey. Generally we do not recommend this, as there is no assurance that something has not changed on the property since the last time the surveyor went and physically surveyed the property. The most common issue of concern in a residential survey is encroachments associated with fences and easements. Most real estate acquisition contracts treat survey issues as title defects. Therefore, it is critical to know whether your fence encroaches upon a neighbor’s property, or vice versa. Also, a purchaser needs to know whether any of the improvements constructed on the property encroach on utility or drainage easements. If they do, the homeowner may have to remove those improvements at their cost when water backs up on the neighbor’s property or when the utility comes calling because they need to maintain or replace an underground utility line. Easements must be kept clear by the owner for use by the easement interest holder, and if they are not clear, a potential purchaser needs to know of the encroachment and make a business determination of whether to proceed with the acquisition and assume the risk or declare it a title defect and have the seller correct it prior to closing. In a commercial context, surveys can come in two forms: regular or ALTA (American Land Title Association) surveys. While both surveys will meet the minimum standards established by Florida statutes and show all items existing upon the property and the correct boundary lines, the ALTA survey is more detailed and therefore more costly. 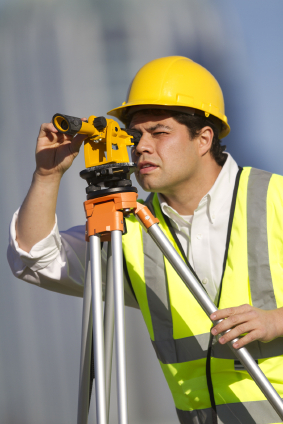 ALTA surveys require the purchaser to provide the surveyor with a copy of the title commitment for the acquisition, and the surveyor will then plot all easements, restrictions and other matters affecting title on the survey and delineate them by title exception number and recording information reference. They will also investigate zoning requirements (such as minimum number of parking spaces required, etc.) and building setback requirements and the like, and plot those items as well. From an attorney’s (and a buyer’s) perspective, an ALTA survey is always preferred. The higher cost differential may result in the client opting for the regular survey. Purchasers should be aware that title insurance policies contain a standard exception excluding from coverage any item that could be discovered through a survey. That is why it is so important to obtain a survey for each acquisition. Our other real estate attorneys and I write regularly in this blog about important legal and business issues impacting commercial and residential real estate in Florida, and we encourage real estate industry followers to submit their email address in the subscription box at the top right of the blog in order to automatically receive all of our future articles.